About 2:45 this morning, my kind husband turned me from my side onto my back so I could sleep more comfortably. Now on my back, my eyes naturally looked to the top of my bedroom wall where there is a window, not that can be opened because it’s too high, but for light. With a sleepy grin and a nod toward the window I murmured, “Hey Mike, there’s the star from the Christmas story.” After he crawled back in bed, I watched that star through the window. At 2:59 it was at the top of the window a little left from center. At 3:14 it was in the bottom right corner and by 3:15 I could no longer see it through the window. Scripture doesn’t say exactly how they found the manger except that the star “stopped over the place where the child was.” (Mt 2) But my guess is it couldn’t have been more than say, a 1/4 mi. 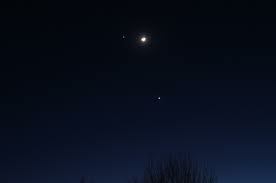 diameter, that they walked under the star before finding Mary, Joseph and baby Jesus. We all have a star, a way to follow Jesus, but we often disregard it, especially at this busy time of year when we think it’s all about having all things perfect in our homes to celebrate His birth! I want to be wise. I want to follow Jesus. Friends, we too find Jesus when we truly seek Him with our heart. Take time in the next few days to read the account of the wisemen in Matthew 2 and be reminded how our precious salvation indeed began at Christmas. Remember before you read to always ask God to reveal something new to you while reading the passage. He always does, when we ask! 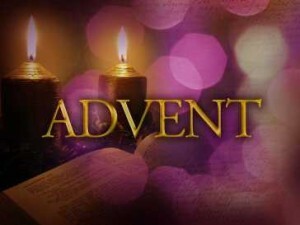 Here we are in the season of Advent which encompasses the four weeks leading up to the celebration of Christmas. Advent comes from the Latin “ad venire” or “to come to.” As a child in church I always heard, “Come Lord Jesus, come Lord Jesus” to which I’d think, “Well, hasn’t he already come? He’s already been born and walked the earth otherwise we wouldn’t be celebrating his birthday, right?” I confess it was always a hair confusing to me. It wasn’t until later that I learned that Advent is a season of preparation directing our hearts and minds to Christ’s second coming at the end of time, in addition to preparing for the anniversary of the Lord’s birth on Christmas. Directing our hearts and minds to Christ’s second coming at the end of time…hmm…now that’s a bigger directive than just decorating your local church in purple and making sure we have enough ushers for Christmas masses or services. We’re talking eternity here. Admittedly, as a wife, mom, in-law, sister, aunt, godmother and friend, it’s easy for me to forget to direct my heart and mind to Christ’s second coming. After all, there’s a lot to do to prepare for the parties and presents! But here are some great, practical ideas from American author, teacher and pastor William Arthur Ward (1921-1994) on how we can prepare for Christ’s second coming as well as for the anniversary of his birth. Every year this helps me take focus off what society and commercialism has created of Christmas and onto what I believe our Heavenly Father Is asking me to do. Now during these weeks when I sing in the congregation, “Ready the way of the Lord!” taking Ward’s suggestions certainly puts my words in action. Join me in training ourselves to do this not only during Advent, but throughout the year as we prepare to meet Jesus one day face to face! Fast from emphasis on differences; Feast on the unity of life. Fast from words that pollute; Feast on phrases that purify. Fast from worry; Feast on divine order. Fast from unrelenting pressures; Feast on unceasing prayer. Fast from hostility; Feast on non-resistance. Fast from personal anxiety; Feast on eternal truth. Fast from discouragements; Feast on hope. Fast from facts that depress; Feast on verities that uplift. Fast from lethargy; Feast on enthusiasm. Fast from shadows of sorrow; Feast on the sunlight of serenity. Fast from idle gossip; Feast on purposeful silence. Fast from problems that overwhelm; Feast on prayer that strengthens.